The history of most big e-commerce brands is interesting. From garage startups to sales day innovations, we have come to benefit from some of the best thought-out e-commerce innovations in history. eBay makes billions every year with many sellers making hundreds of thousands or even millions. This growth has come from years of enabling people to earn an income from their homes. Like most e-commerce marketplaces of today, eBay started from the home of its founder. There is a story that's repeated over and over as the reason why Pierre Omidyar started this Auction site. The story says that he started it to help his fiancee trade Pez candy dispensers. We found out that this was just a PR strategy that eBay used to gain media attention. eBay started as a part of Pierre Omidyar's personal site and a side hobby. After spending labor day weekend at home thinking and writing code, the French-born Iranian-American founded AuctionWeb on September 3, 1995. He listed some items on the site and not long after received his first sale from Mark Fraser. The item was a broken laser pointer. Although Pierre had listed the laser pointer as one of the items to sell, he was shocked that anyone was interested in a broken piece, even for $14.83 which was the price. He contacted Mark and confirmed that someone actually wanted a broken item. AuctionWeb continued to make sales without sellers paying a dime until June 1996 when Pierre's internet bill had to increase from $30 per month to $250. He then changed the way the site operated to include seller fees and employed Chris Agarpao, the first and longest employee eBay has had. Chris' job was to process checks coming in to take out the fees. AuctionWeb's growth progressed as sellers continued to list all manner of things and people actually bought them. In July 1996, Pierre quit his job to focus on the site and hired Jeffrey Skoll as the president. A few months later, Jeff and Pierre rented their first office and entered a third-party licensing deal. This deal involved selling plane tickets and travel products using SmartMarket Technology on the website. It was such a massive success that in January 1997, the site recorded 2,000,000 auctions. That is over 700% growth from listings made in the whole of 2016. In September, eBay was adopted as the official name. Originally, AuctionWeb belonged to Pierre's consulting firm - Echo Bay Technology Group. When he tried to register echobay.com as the domain name, it wasn't available. So, he resorted to using eBay. The Pez dispenser story came up in 1997; it was so successful that toy collectors began to frequent the site. Ty Warner's Beanie babies came to dominate the toy category and accounted for 10% of eBay's listing at the time. 500 million dollars worth of Beanie babies were sold on eBay alone. By March 1998, eBay had grown to half a million users and $4.7 million in revenue. Meg Whitman had also joined as president and CEO. With a growing market and a good outlook, eBay went public on September 21, 1998. Expecting to trade at $18, they were shocked to sell at $53.50 on the first day of trading. Both Pierre and Jeff became billionaires not long after. In 1999, eBay spread to Germany, Australia and the U.K. Today, the brand is in over 180 countries. In more recent years eBay has opened up access to their API allowing companies such as Seller Republic to partner with them by creating standalone tools that plug into their marketplace such eBay pricing optimisation. One exciting thing about eBay's history is its rapid growth. By April 2000, they introduced eBay Motors. About a month later, the eBay university was launched to help users master the art of sales. Both are massive successes. Following that, eBay made fashion history when the oldest pair of Levi's was auctioned for $46,000! That's a lot for what the jeans looked like. In 2008, eBay introduced seller ratings with four categories. Before this, there had been a feedback system that was introduced in the 90s. The more recent system has provided better feedback for eBay, sellers and potential buyers alike. Ironically, Auctionbytes.com decided to use a similar system to rate eBay against 15 other marketplaces. The rating was based on profitability, customer service, communication, ease of use, and recommendation. eBay ranked 13. In another category, they were the worst. eBay has improved since then; it has become one of the preferred marketplaces for sellers and buyers. Over the past two decades, eBay has acquired a good number of brands. The first was Jump Inc and Up4Sale. This was a person-to-person online trading site that started after AuctionWebs. Two years later, they bought Half.com and expanded their movie, music, books, and games sales. In another two years, they bought a smaller competitor- iBazar. That same year, PayPal became a subsidiary and remained so for 13 years. In 2004, eBay acquired Rent.com but later sold it to Primedia. That same year, they acquired 25% of Craigslist; this expanded to 28.4% in 2010 from a lawsuit between both companies. Still working to expand, they acquired Gumtree. Not too long after, eBay acquired Skype Technologies. This significantly increased their customer base. Skype was later sold in 2009, but eBay retained 30% equity before the sale of the entire Skype service to Microsoft in 2011. With steady growth and more innovation, it is no wonder that eBay was recognized as the 8th fastest growing company in the world in 2003. By 2008 and 2009, they were recognized as one of the top 100 best companies to work for. The three recognitions were published in Fortune Magazine. They also won the National Technology and Innovation Medal in 2008. By 2009, they received a 100% rating from a Human Rights Campaign as a recognition of their commitment to a discrimination-free workplace. They have continued to receive that same rating every year since. Over the past 23 years since eBay's launch, it still records massive success in the e-commerce space. eBay is the master of the online auction, and no other auction-based site has come close to their success. How can Price Optimization Software boost your business’ performance? 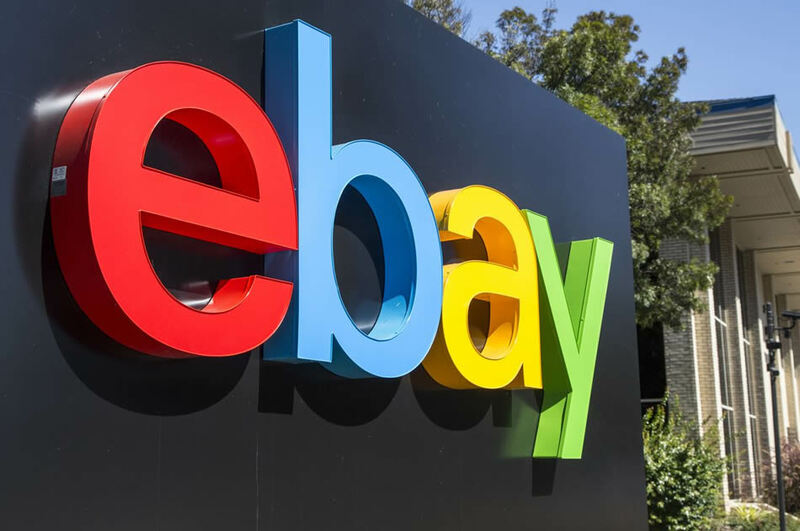 Is the future of eBay auctions slowly turning sour? Rise of the fixed price sale. Join our Affiliate Program and earn 100% commissions on the first month. Get emails about new features, seller tips, and special discounts.